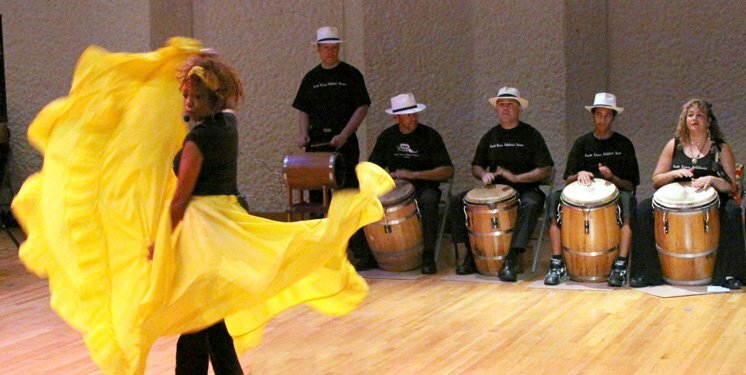 If you are interested in learning bomba dancing, you just need to show up this coming Sunday to the “Fundación Nacional Para la Cultura Popular” (Popular Culture National Foundation) headquarters for free classes. The classes will be held from 10:00 a.m. at the FNPCP headquarters located in Old San Juan. Would you like to know more about bomba music and dance? A description of bomba and other Puerto Rican music genres. List of events where you can listen to and watch bomba performers for free. List of bomba schools and performers. Nightlife options to enjoy bomba. If you like Puerto Rican performers from past decades, the FNCP has an extensive collection of records (in all formats), radio recordings, interviews, photos, negatives, videos in several formats advertising propaganda, magazines, artwork, paintings, and other collectibles. The FNPCP is a non-profit organization that works towards the development of the Puerto Rican popular culture through its study, and sponsoring events that have cultural value. Their headquarter is located at 56 Fortaleza Street, in Old San Juan. Tel.787-724-7165. http://prpop.org/, info@PRpop.org. © 2014, prismusic. All rights reserved. apotek Danmark Norge, http://www.monzodog.com/mydebut/apotek/rodogyl , Gunstige Sverige.